Award-winning Singer-Songwriter, Allison Downey can make an audience in a 500-seat theatre feel like they’re in her living room. “Dynamic, energetic, intimate, masterful, genuine, honest, humorous, hilarious, charismatic” – just a few of the descriptors chosen by critics and audiences to describe Allison’s performances. With a voice reminiscent of Natalie Merchant, she’ll take you on a musical journey that spans the gamut of human emotions often making you laugh in mid-cry. Allison’s songs embody an organic, folksy sound, labeled “Midwestern Urban Folk” borrowing occasionally from other genres such as Folk-pop, Texas twang, and sultry Jazz. In song and performance Allison is a natural storyteller creating multi-dimensional characters in settings so rich with imagery that they reveal her training (MFA, Theatre) and experience as a theatre artist (and professor). A world traveler, Allison absorbs the sounds, scents, textures, landscapes, and seascapes of the places she visits. These experiences seep into the songs she writes as portraits, snapshots or vignettes. Christian Czerwinski of the Lansing NOISE explains “Allison Downey, … the singer with a honey-coated voice is also a playwright and writes songs that appeal to all of the senses. It’s as if she’s creating a scene on stage…” She might even transform into one of her alter-egos, “Carmen” or “Melba” for a song or two or slip into one of the stories she’s told for storytelling festivals , The Moth, or her radio show, The Living Room. A native Washingtonian (DC), Allison honed her craft in Austin, TX before bringing her style of music to her current home of Kalamazoo, Michigan. She’s played cool venues from Joe’s Pub and The Living Room in NYC to The Ark in Ann Arbor to The Continental Club in Austin, Texas. She’s equally at home playing in big spaces like the Power Center (1300 sold-out seats!) in Ann Arbor or in the cozy living room of a house concert in Boston. She’s got two CD’s out, Across the Sea (2008), produced by Michael Crittenden of Mackinaw Harvest Records, and her debut, Wind at Your Back (Little Ditty Records, 2002), produced by Austin’s veteran performers Christine Albert & Chris Gage. Songs from both CDs have won awards and accolades, including the People’s Choice Award for Texas’ Wildflower! Arts & Music Festival Performing Songwriter Contest and XM Radio’s “Music to Life” Top 40 songs for Social Justice, hosted by Christine Lavin, for “Please Help”. 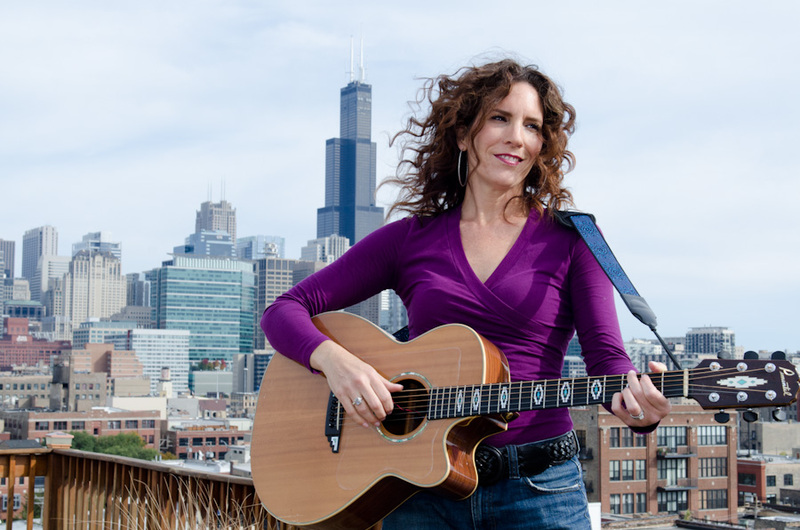 She’s presented and showcased at conferences (Midwest Folk Alliance), performed at festivals (South Florida Folk Festival, Noreast’R), and taught workshops for conferences and festivals (Kerrville Folk Festival Song School). Her albums have received national, international and satellite radioplay. “Please Help!” Aired on XM Radio’s “Music to Life Top 40” of songs for social justice, hosted by Christine Lavin.